In 2017, consumers spent $14.1 billion and this year alone, despite projections that viewership will remain relatively the same as before, consumers are expected to spend a whopping $15.3 billion for the big game, which includes everything from apparel, décor and food. From salty snacks, deli meats and spreads, to soft drinks and adult beverages, the Calorie Control Council and Snack Food Association estimates the average fan will consume 2,400 calories, making the Super Bowl the second largest day for food consumption behind Thanksgiving. For this year’s game, consumers are stocking their freezers and refrigerators, preparing for what some consider to be just as important as the Super Bowl, the gatherings themselves! According to Nielsen, the two weeks leading up to the Super Bowl bring in millions of dollars from purchased fresh fare, packaged groceries and adult beverages. The quintessential Super Bowl fare is in play! For 2018, the National Chicken Council annual Chicken Wing Report projects that fans will eat 1.35 billion wings during Super Bowl weekend; that’s 20 million more wings than last year! According to a Nielsen report titled, “Super Bowl 52: Who’s Watching and What’s Filling Americans’ Baskets, last year, for the weeks ending Feb. 4, 2017 and Feb. 11, 2017, consumers purchased $278 million worth of chips, $60 million in deli sandwiches, $62 million in avocados, $86 million in popcorn, $1.3 billion in beer and $198 million in frozen pizza. What a way to celebrate an occasion! With not long left, maybe you don’t have time to spend endless hours preparing for game day, and you don’t have too. Perhaps it’s time to consider frozen. There’s a plethora of options that are fit for serving a crowd. At your local grocery store, the frozen food aisle has tons of savory treats with loads of taste that don’t take an unsurmountable time to make. Whether you’re watching the Super Bowl at U.S Bank Stadium, at a friend’s gathering, with fellow patrons at your nearest sports pub or from the comfort of your home, it’s evident that food is at the helm of the celebration. 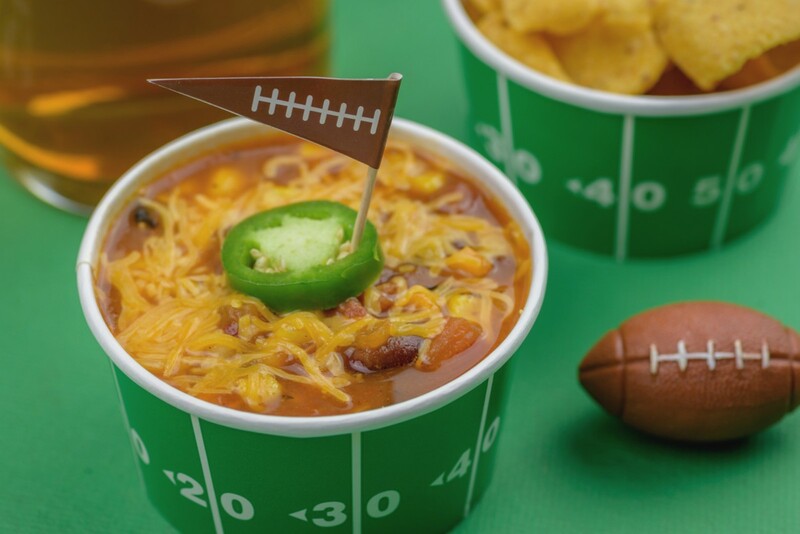 Those comfort dishes that we enjoy while vigilantly watching the game make these sporting events memorable. No matter where your football alliance stands this season and who you’re rooting for, the Super Bowl is hands down a day for great TV, libations and food, fresh or frozen! Have fun!